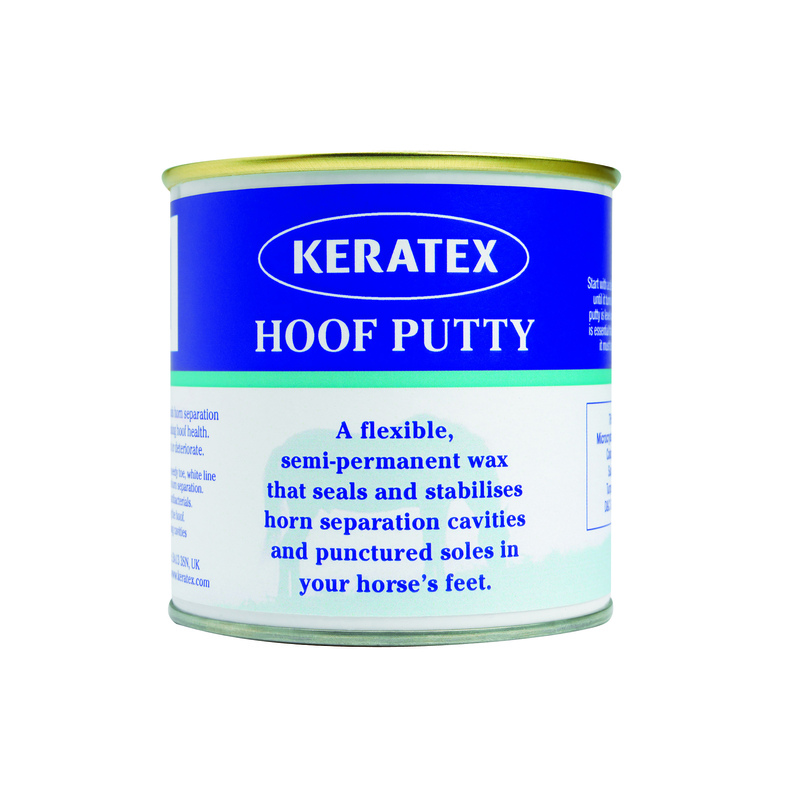 The Hoof Putty is a semi-permanent wax that is hard in the tin, but softens & becomes pliable in your hands. Thoroughly clean & disinfect the puncture, hole or separation, to ensure no bacteria will be trapped in. Then mould the putty in your hands & press it firmly into the cavity to form a dense plug. This will stop mud, debris & grit getting jammed into the hole & help to prevent (re)infection (the putty also has disinfectant properties). Your horse can be turned out & ridden as normal with the hoof putty in. All Keratex products are British designed & manufactured.